One of these days, we are going to recognize lady bugs for who they really are—cute, fluttery, and fragile—and not what the Asian beetles have convinced us of. Hopefully, it's soon, too, because we would never want to hurt your feelings! Ladybugs have gotten a bad rep ever since the Asian beetle invaded these lands—they're absolutely everywhere and no one wants anything to do with them, including the real, authentic ladybugs. They only look kind of like their counterparts but cause much more harm by far. While Asian beetles hurt us and smell absolutely awful, ladybugs kind of stay out of our way and eat aphids that can really harm our plants! If you're a gardener at all, you'll love these little bugs just for that reason, but if that's not enough for you then just take a look at how cute their colors are. The strangest thing about them though? Ladybugs may have the word "bug" in them but they are also beetles and not bugs. Kind of like Jellyfish, except one heck of a lot cuter, and we promise, they don't bite or sting or smell! 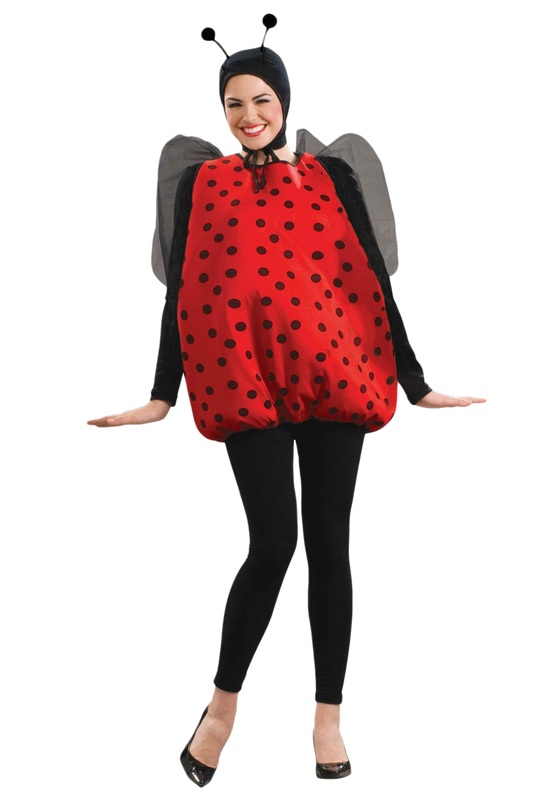 You would restrain from all that, too, if you suited up in this Adult Lady Bug Costume, right? The sleeveless pullover tunic is 100% polyester and features black knit mesh wings on the back and poseable antennae to top it all off. We'd never, ever, ever mistake you for an asian beetle!